Medical imaging may not seem like one of the more glamorous aspects of medical care. But, it’s one of the most important, especially for orthopedic surgery. For this reason, the Moose Jaw Health Foundation is making medical imaging the focus of our orthopedic surgical campaign. The Foundation needs to raise $213,000 to purchase a new C-Arm medical imaging device for the Dr. F. H. Wigmore Regional Hospital. Although it has a simplistic name, the C-Arm is anything but simple. 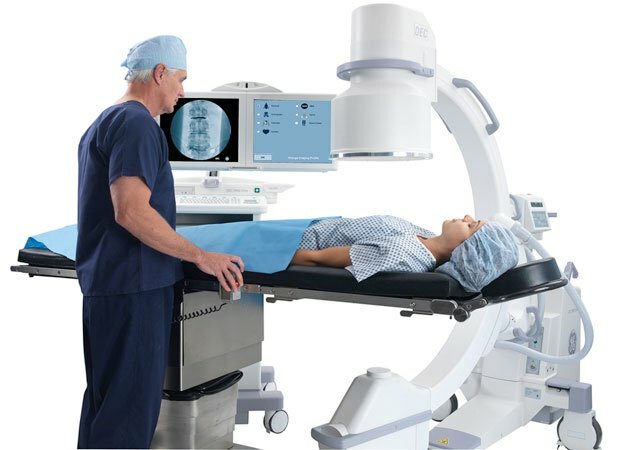 Based on digital x-ray technology, it gets its name from its C-shaped arm and can be used for a variety of orthopedic and surgical procedures. The arm is mobile and highly adjustable, allowing it to be moved into whatever position is necessary for complex orthopedic surgeries in any of the hospital’s operating rooms. It provides high-resolution images in real time, allowing surgeons to constantly monitor their patients during surgery and immediately make any changes that are necessary. A gift to the Moose Jaw Health Foundation will help bring a new digital imaging C-Arm to our hospital. Only with your help will quicker recovery times, less pain and more precise orthopedic surgical procedures be possible. The new C-Arm will be used for a variety of orthopedic and general surgical procedures, including hip and knee replacements, muscle tears, broken bones, etc… It will provide our surgeons with a clear image in order to correct the issue faster and more accurately. The truth is that without a C-Arm many surgeries could not be performed in Moose Jaw, forcing patients to travel to Regina or Saskatoon. Every donation you make to the Moose Jaw Health Foundation stays in our community and is appreciated – no matter the size. To help equip the hospital for a healthier tomorrow, click here or contact the Moose Jaw Health Foundation.